Olympic gymnastics leotard design incorporates elements of style and functionality to produce a garment that moves and flexes with the gymnasts body, without leaving any fabric to get caught up in the aparatus. This combination has resulted in some style winners and style losers over the years, but whether they are remembered for their beauty or their wearer, these five Olympic leotards (sorry, some rhythmic ones just had to be included) have made their way into the history books. 5. Mary Lou Retton’s 1984 leotard remains etched in the minds of a generation of American’s for her gold winning performance in Los Angeles. Of course, the image of the stars and stripes graphically displayed along an arm and her rear, respectively, made it memorable regardless. 4. Kerri Strug’s 1996 leotard is one for the history books. Though modest in design, without all the bling of more modern costumes, this simple ode to the flag bore witness to one of the most couragous acts in Olympic history, her landing a gold medal vault on one foot, with what turned out to be a broken ankle. One of the most memorable Olympic moments of all time during the Atlanta games. 3. The Athens games showed a plethora of leotards aping traditional dress for the representative nation. In some cases, the amount of skin on display was almost shocking. 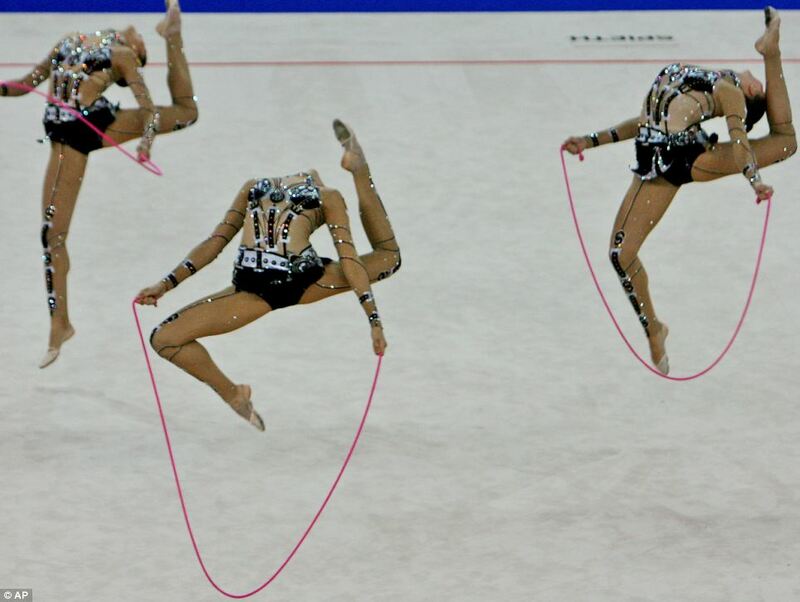 The Chinese rhythmic leotards of the year may go down in the history books as barely there. 2. These 2007 leotards managed to “show” more skin than ever before — the skin-colored fabric was the secret to their success. 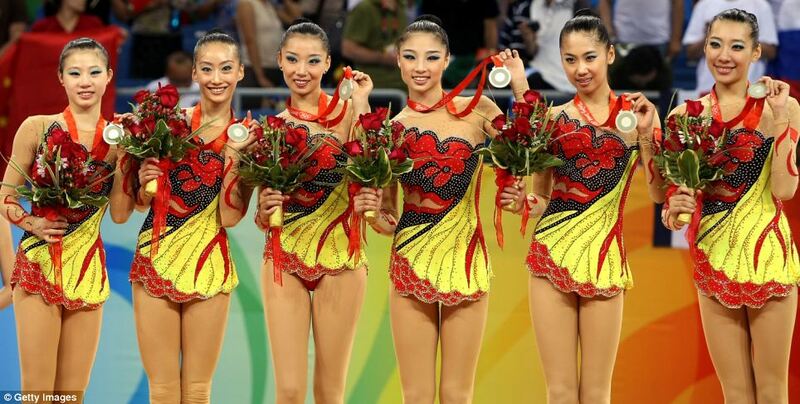 The barely allowable outfits worn by the Chinese team were practically modest when compared to the sparkly bikini styles worn by the Russian rhythmic team in 2007, the year before the Beijing Olympic games. 1. Fox News made this year’s Olympic leotard design one for the books by making statements calling its patriotism into question. The bright, metallic pink leo worn by Gabby Douglas to All-Around Gold will go down in history, not for her performance (it was stellar! ), but rather for an news commentator’s objection of the color. Well I loved your leo, Gabby!